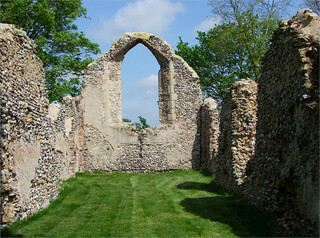 Even if nothing has survived of a building so early, it is obvious that most of East Anglia's churches must have been where they are for a thousand years and more, gradually being reshaped, rebuilt, reinvented, and, for some of them, eventually ruined. And yet, ten years can make a difference, even to a ruin. 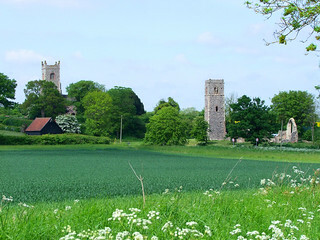 Here we are in the rich green valleys to the south of Norwich, which are full of hidden folds and quiet villages which seem content to hide in them. 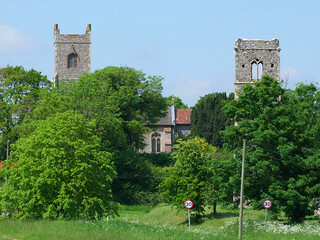 Shotesham is one, but in early medieval days it was prosperous enough to have four manors, each with its own church. All Saints and St Mary survive to this day. 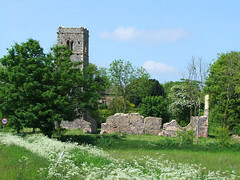 St Botolph, a mile off, is no more than lumps and bumps in the ground, but St Martin is a rather more substantial and handsome ruin, sitting a hundred yards or so to the south of St Mary. A village with four medieval churches cannot possibly have needed them all once the Reformation came along, with its new emphasis on congregational worship over sacramental devotion. 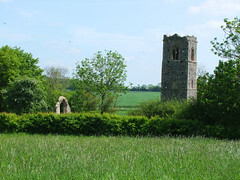 That two of the churches survived in use beyond the 16th Century would suggest that the population of Shotesham was sufficient to support them both, but two had to go, and one of them was St Martin. 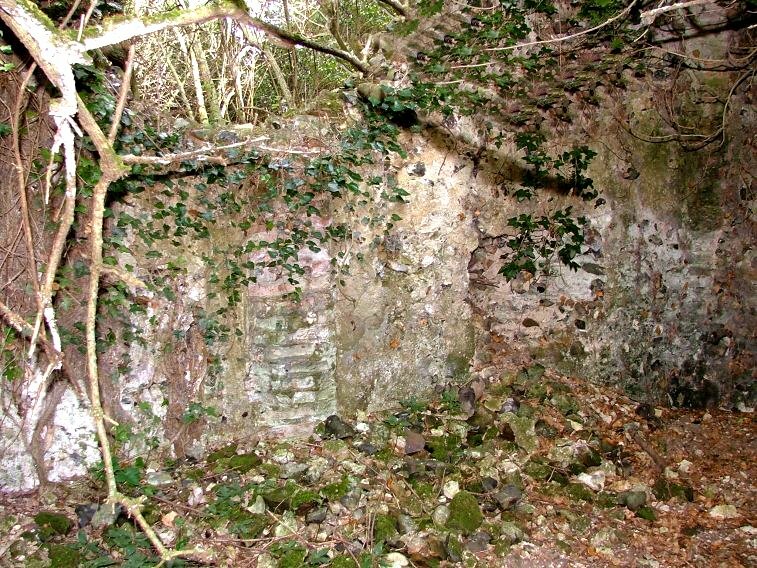 The church must simply have been abandoned, the roof removed for buildings elsewhere. 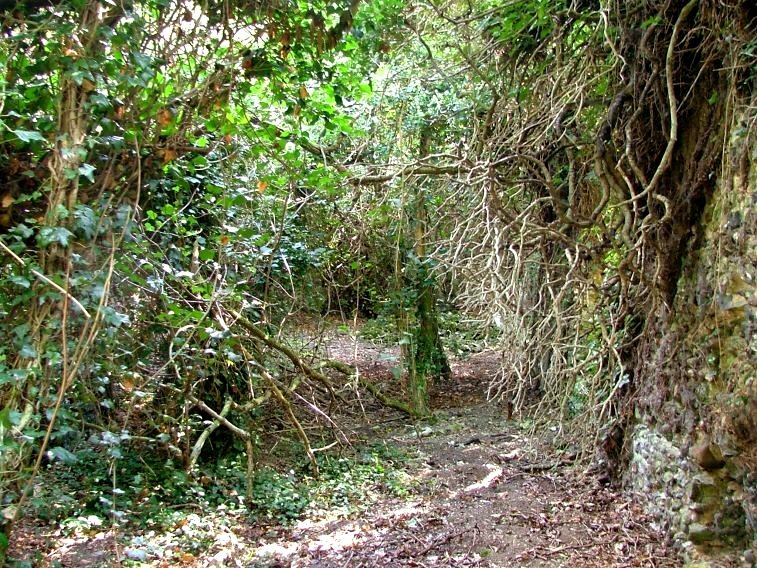 When I came here in 2006 the remains were covered liberally with elder and ivy. 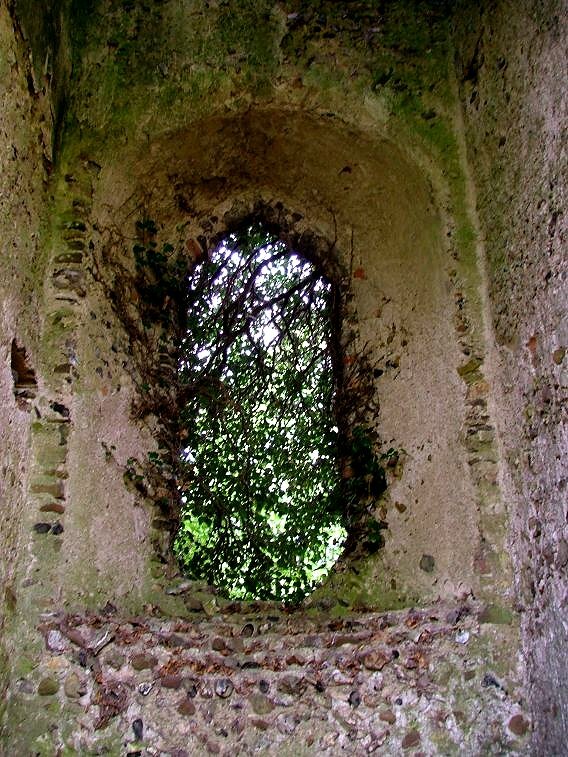 Five hundred years ago the two churches would have looked like twin ships floating side by side in the green fields, but St Martin had become a green ghost of its companion, and had been so for several centuries. It was a day in late September, still warm, but the weather was beginning its annual downturn. 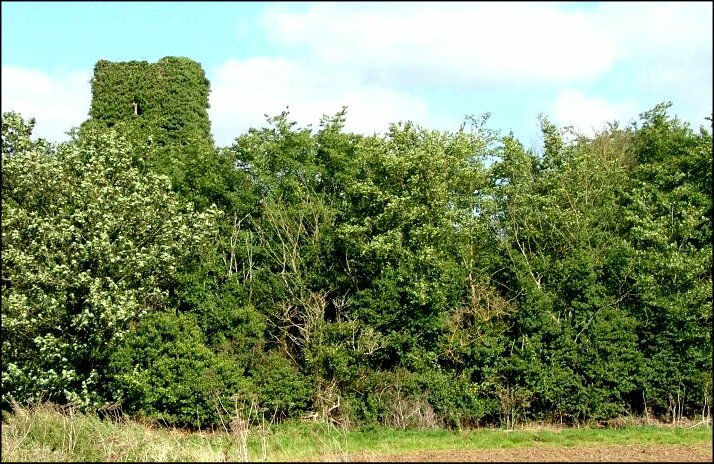 I walked across from St Mary, crossing the sunken road to Stoke Holy Cross and then up the bank on the other side, but at first I found the ruin of St Martin inpenetrable. 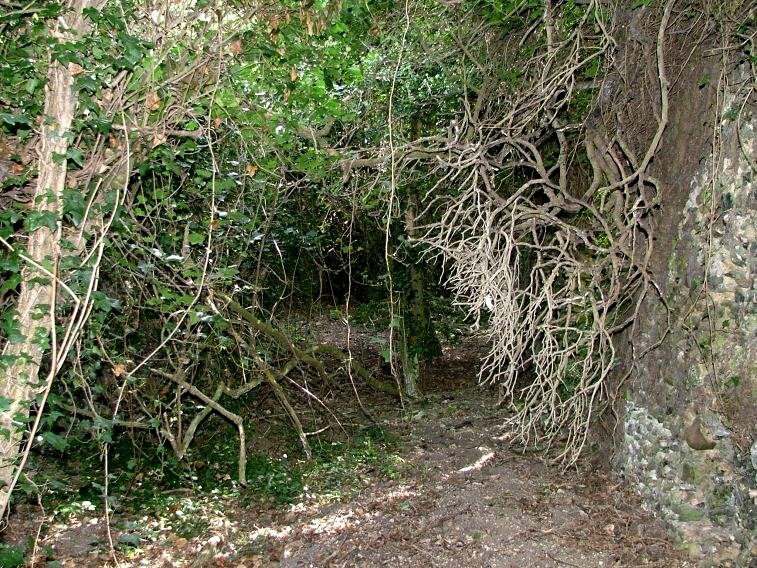 Set on a mound, a fence guarded the approach which was in any case blocked by nettles and brambles. 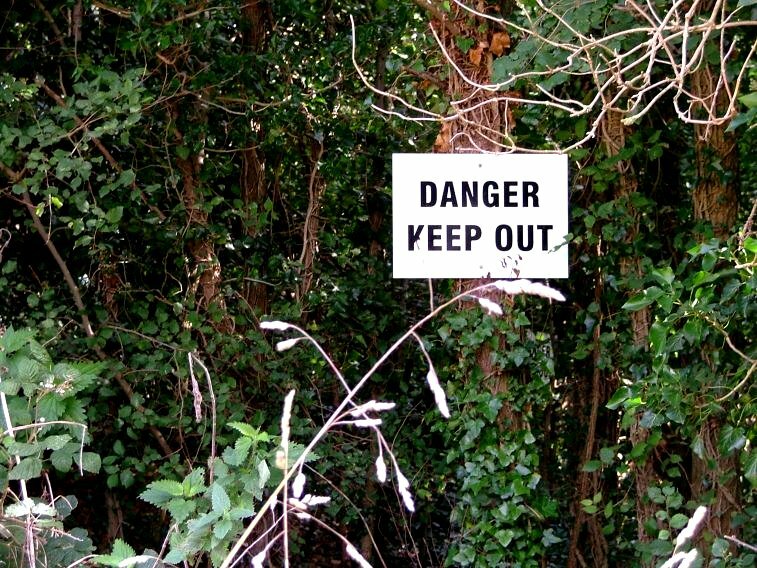 However, coming around to the west end beneath the tower I found a large sign proclaiming DANGER KEEP OUT. 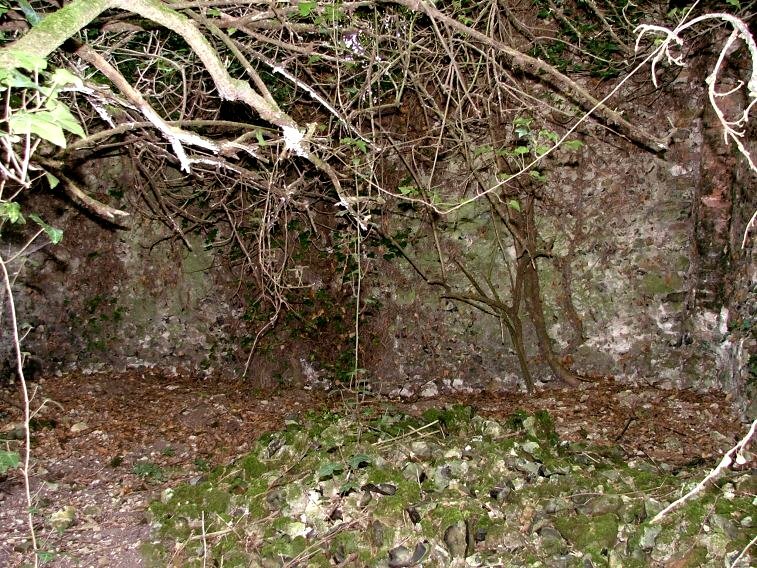 Assuming that such a sign was only necessary because access was possible here, I climbed up under the trees and found myself in the tree-shrouded former graveyard of St Martin. It was a simple matter then to step through the former south doorway into the church itself, which was in any case pretty clear inside. I assumed that someone with a lawn mower and a hedge trimmer had also taken it upon themselves to ignore the sign. 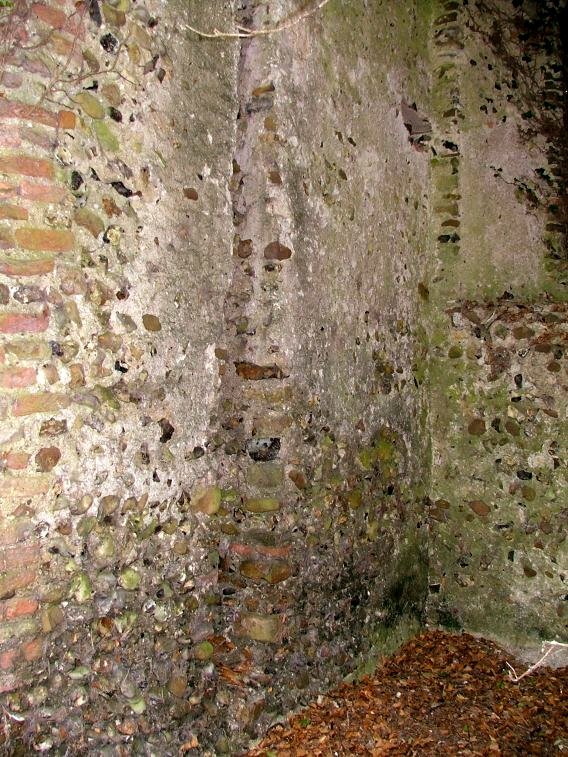 The walls to the nave were crumbling, as you'd expect, but you could still see the outline of the building. 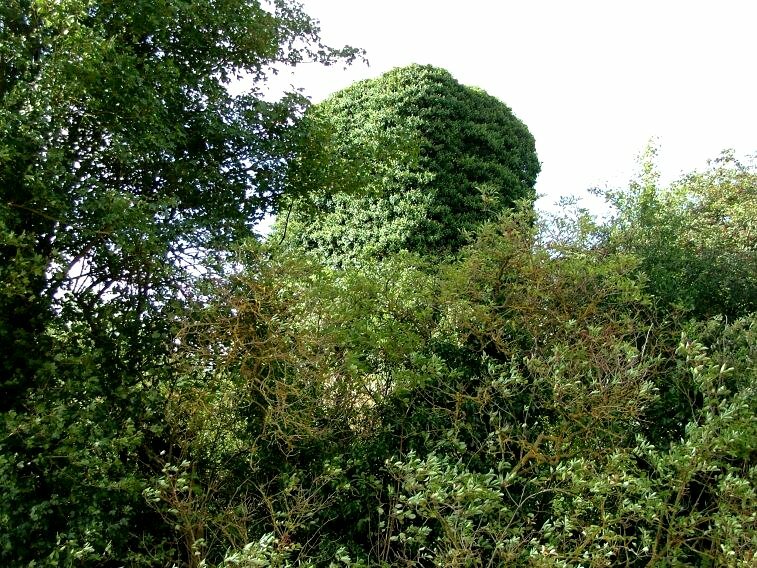 The tower appeared substantially sound, and you could look up its length as if it was a chimney, clouds and jackdaws wheeling at the top. 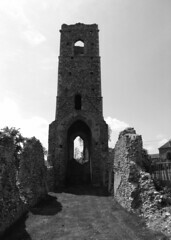 Not long after my visit, Norfolk County Council began a wholly admirable project to clear some of the county's ruined churches of their overgrowth, and stabilise the structure. 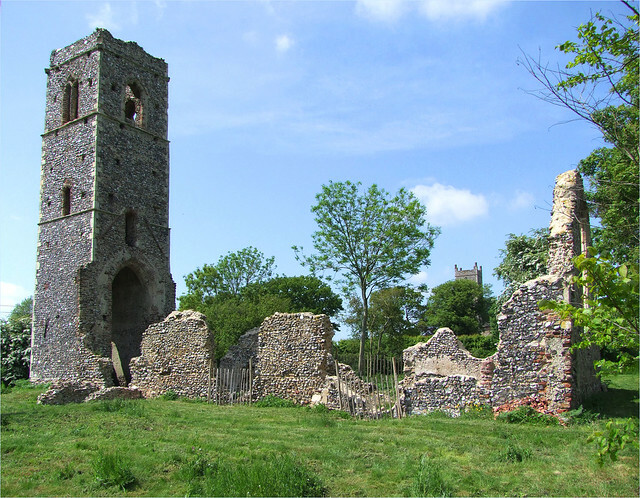 Norfolk has coming on for a hundred ruined churches, and they couldn't possibly save them all in this way, but the best ones were chosen, and St Martin was one of them. 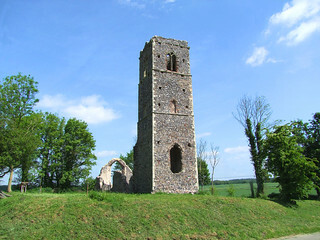 I was cycling from Diss to Norwich through the back lanes on a beautiful day in the high summer of 2013 and I saw the cleared St Martin for the first time, its late medieval tower surprisingly complete and standing up well in competition with that of neighbouring St Mary. From a distance they really did look like two great ships in the fields, side by side. No warning signs now, and if the ruin has been tamed, then at least it is now is possible to step inside and see this place for what it once was, and still is, really. 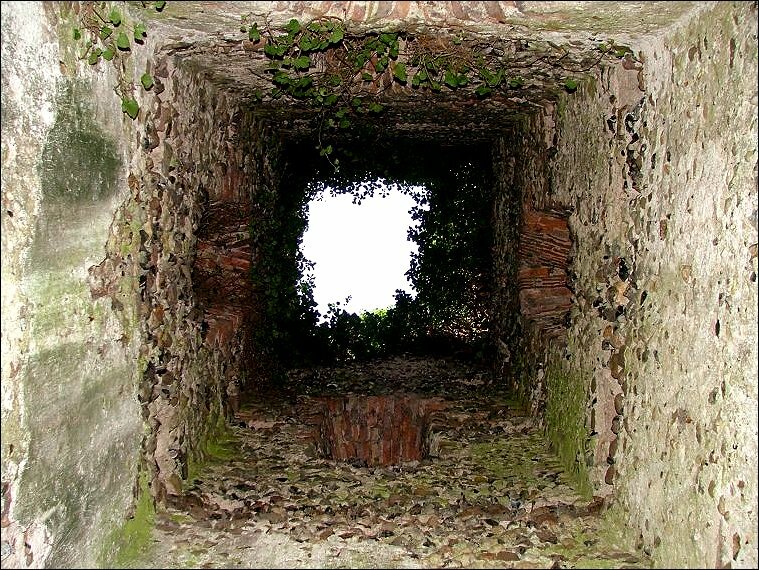 A curiosity, which Cautley spotted in the 1930s and you can still see today, is a long narrow opening in the south internal wall. It is a banner stave locker - there is another across the road in St Mary. These are an oddity; they seem to have been used for storing processional banners. 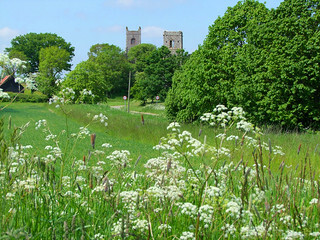 The thing is, there are only about 30 churches which have them and they are all within 20 miles or so of Lowestoft. It makes you wonder what other churches did to look after their banners. 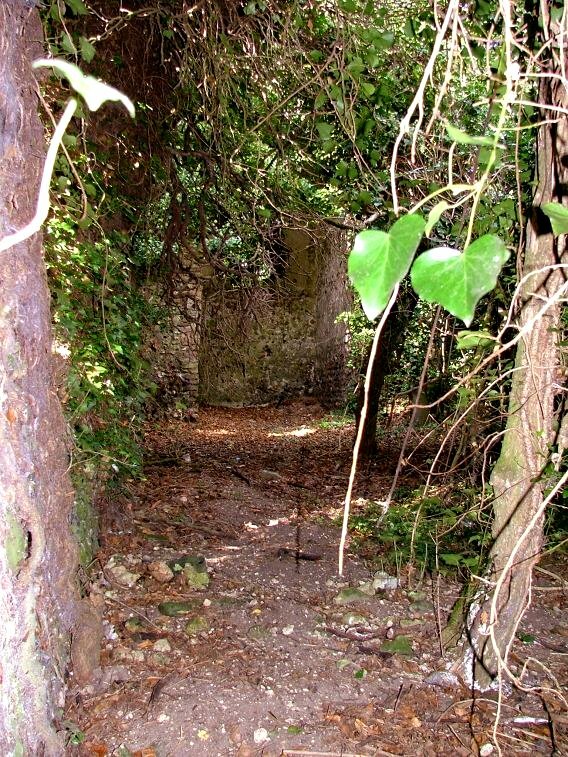 Perhaps they had tall wooden cupboards built especially for the purpose; but, if so, then none have survived.